Wrought iron fencing can be extremely decorative. There are many different types of iron fences, primarily consisting of different visual patterns made out of bars of iron. Some iron fences are more decorative than others, but the most common type of iron fence includes vertical iron bars of some type that are connected horizontally by an additional bar. This basic design may be elaborated with circles, loops, or even decoratively cast iron. Frequently, iron fences include thicker iron posts at regular intervals that stabilize the fence as a whole. Differences between iron fences are almost always for decorative rather than practical purposes, although the height of the fence does influence its function. An iron fence may conform to any number of traditional designs or may be entirely unique. Some places have fences designed especially for the building. Most fences do conform to some type of traditional aesthetic. Hairpin fences, for example, are characterized by loops that rise above the horizontal bar at the top of the fence. Many iron fences include sharp spires that rise above the horizontal bar, although these may be considered somewhat dangerous and may be covered with a hairpin loop. Traditionally, the spires may have deterred trespassers, but they are primarily decorative. Scrolls, circles, and other decorative features may be incorporated into the fence design. Some iron fences are entirely decorative and do not serve to keep anything in or out of an area. These fences may forgo bars entirely and rely on architecturally attractive panels or shapes. The height of an iron fence can make a difference in its functionality. A tall fence can deter trespassers fairly well, particularly when it includes no footholds. On the other hand, a short fence is primarily decorative. In many cases, the height of the fence has some relation to its intended use. 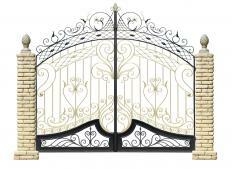 One aspect of iron fence design that is often highly elaborate is the gate. Even plain fences often have decorative or lacy gates. 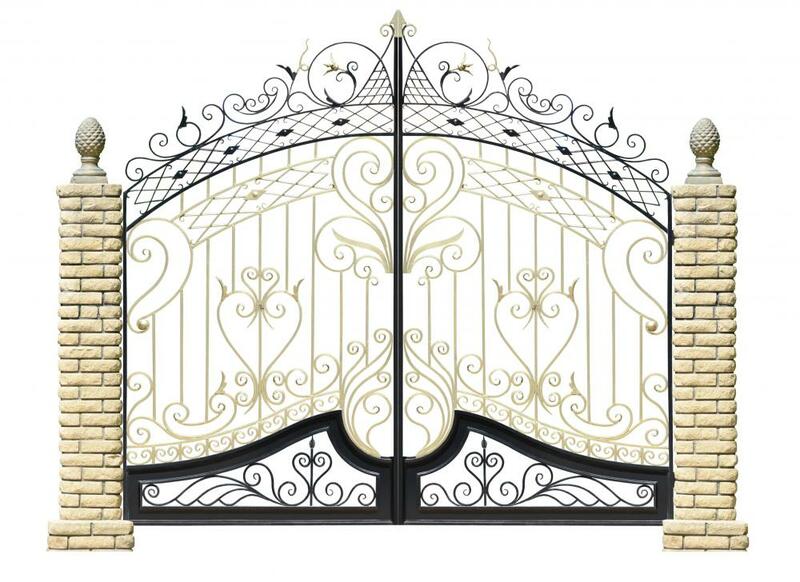 Depending on the design, the gate may slide, swing, or merely consist of an opening, but it is typically made to match the fence in some manner. Even if a fence is tall, artistic features can make the fence easier to climb and so should be considered carefully. Spines that bend outward can prevent trespassers from scaling the fence easily. In general, one should expect that an iron fence will serve a primarily decorative function and that security must be maintained by different measures. There are many beautiful iron fences in the world, but iron alone does not usually deter unwanted visitors. What are the Different Options for Decorative Iron Fences? What are the Advantages of Iron Fencing? What is a Barbed Wire Fence? What are the Different Types of Vinyl Fences?